Tag Archive | "real estate tour delegates"
Yesterday’s message looked at insights on patience and value. If you missed that message click here. Patience and the never ending quest for value are vital in investing and buying real estate in Ecuador or anywhere. Value is really hard to understand in the real estate and equity market now because the bubble of 2007 created many false illusions. This creates the need for even more patience. The value of a house is twofold… the value of a roof overhead and the value of whatever price it can be resold. These are unpredictable times. Basing a potential resale on previous inflated bubble prices can be a great error. For example, after months of searching, Merri and I made our first offer for property in Florida. Our offer is half the seller’s asking price. This was really hard for me to do, but after looking at everything I had to come in with this price. Here is the note I sent to the broker with the offer. We appreciate your help and attach our offer for the property. In today’s market, value is really hard to determine because of the economic instability and uncertainty of when markets will rebound. History suggests we won’t see a full recovery for six to ten years… but there is no guarantee. Because our offer is substantially less than the asking price, I have tried to apply some logic looking at this as a value oriented investor. So here are the seven reasons for our offer price. First, our main goal is as investors and we expect to buy at good value. Since there is so much uncertainty we will err on the low side rather than take risk. We are in no hurry and there are plenty of houses we have seen that we could enjoy for our winters. If this offer does not work we have several more houses we are ready to make an offer on. A really fair value is an important part of our offer and in this market we expect to get one. Second, this property is valued at an even lower by eppraisal.com at realestate.yahoo.com. Third, we offered more than the lowest appraisal. There are two other higher internet appraisals but we have gone with the lower of the three for the reasons above and below. 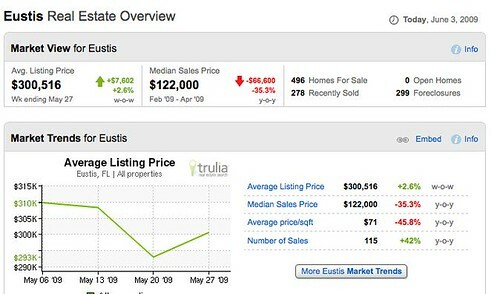 The median sales price in Eustis has dropped over 35% in the last year and there are 496 properties for sale. This page says: “Average price per square foot for Eustis FL was $71, a decrease of 45.8% compared to the same period last year. 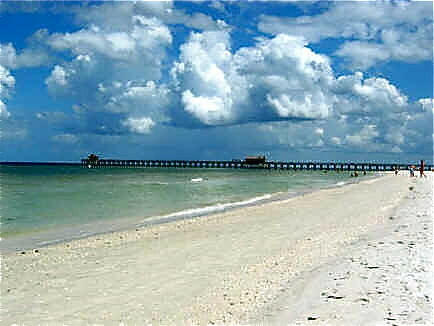 The median sales price for homes in Eustis FL for Feb 09 to Apr 09 was $122,000 based on 115 home sales. Compared to the same period one year ago, the median home sales price decreased 35.3%, or $66,600, and the number of home sales increased 42%. 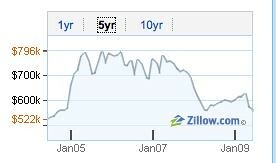 Fifth, we are buying into a market with falling prices so prices may go even lower as you can see in the zillow.com estimate below. This chart estimates the five year value of this house. Sixth, we are buying into a market with a large inventory. There are currently 496 resales and new homes in Eustis according to Trulia, including 299 homes in the pre-foreclosure, auction, or bank-owned stages of the foreclosure process. All of this means that this property could be hard to sell and that any price rise could be a long period of time away. Seventh, this offer is more than the current debt the owner holds so though it leaves them with a loss on their purchase price, it does provide a mortgage payoff and leaves them with some cash. Otherwise they could be holding this property, and all the expenses, for quite some time. In a year’s time the property could still be unsold with a lower value and the owners would have had to outlay more in cash. This places the sellers’ (who bought in 2004) position in a better circumstance compared to having invested in the Dow Jones Industrial Index. As the chart from finance.yahoo below shows had they invested in the Dow instead of the house in 2004 the index was 10,410 then. The Dow rose to 14,093 by late 2007. Had they sold then in 2007 they would have gained a 40% profit. Then within a year the index fell to 6,626, 36% below the 2004 level. A 36% loss in the Dow instead of real estate their investment would be worse then the loss they will take if they sell at the price I am offering. This stock market comparison is important. As an investor, I have a choice. I can buy property or equities. If I buy equities they are about 50% less than they were and they are mostly lower than five years ago. Now we will be patient. Before I made the offer, I reviewed the deal with a close friend who has been a real estate broker and developer for many years. “Gary, As a realtor, I rarely find a fellow realtor who has good appraisal methods. The research and valuation methods you have employed in your study are in the 98th percentile of methods used by professional realtors. If a seller wants to sell, there are three things that do not affect the selling price: (1)What they paid, (2)What they owe, and (3)What they want. Try to explain this to a seller though. Please stick to your guns because as you pointed out, this is a buyer’s market. Don’t get emotionally attached. The key is to be ready to offer on numerous properties. As you evidently are. Sometimes walking away and coming back a few weeks later puts the seller in a different frame of mind. Sometimes another property is waiting around the corner. It is always a good idea to have a neutral party representing the transaction, if not an agent representing your interests only. Make sure that you choose the title company, not the selling party. This will avoid many conflicts of interest. Any deposit money should be held in escrow at that title insurance company. Do not give earnest money to any other party. Never give any money directly to the homeowner, no matter what they might request in the contract. Real estate companies should not hold the deposit money because I have seen them try to get a piece of the leftovers if a transaction fails to close. Oftentimes it is not their fault that a transaction does not close. They figure they have already done their work. They still want their fees. Don’t let that become your problem. Whoever gets the deposit money, ask them specifically if they have any fees due if the transaction does not close. Ask what those fees are. Neither me nor any of my clients have ever paid a fee if the transaction does not close. This is good advice when you buy property in the USA, Ecuador or anywhere! Join us at an upcoming Ecuador or North Carolina course or tour. it is in a quiet place and it has a garden directly below the house. 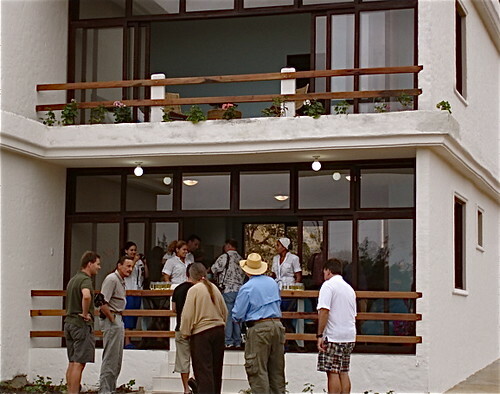 Here are Ecuador real estate tour delegates checking the house. 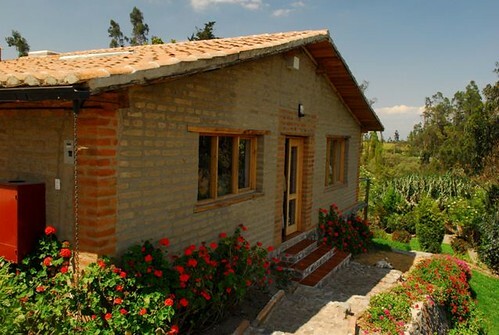 We also look at property around Lake Quicocha for sale. Ecuador’s energy is important because investing, business and health ideas are everywhere when you give yourself a chance to stop and listen. This is one reason Merri and I live in nature at our North Carolina farm and live in a quiet Andean village here in Ecuador. This is why we take delegates to quiet places on our Ecuador tours. Here for example is a shot that our friend Dennis Goff took during lunch on our latest Ecuador real estate tour…. 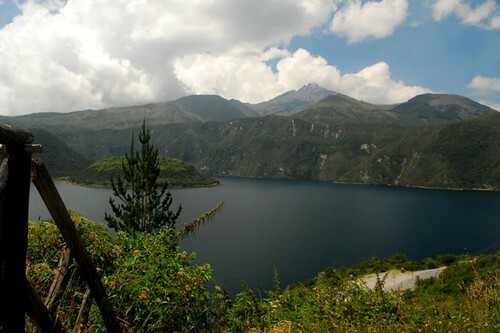 Lake Quicocha. A property, by the way, right next door is for sale. I do not have a picture of that house. 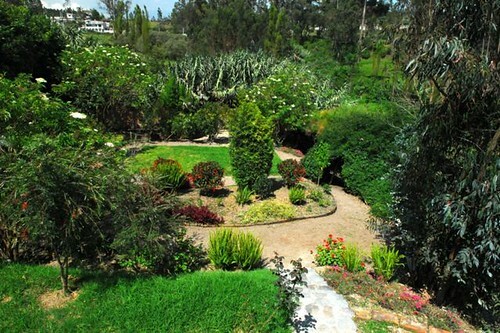 it is in a quiet place and it has a quiet garden directly below the house. We are energy and we are surrounded by energy that affects our thinking, our health and our health. 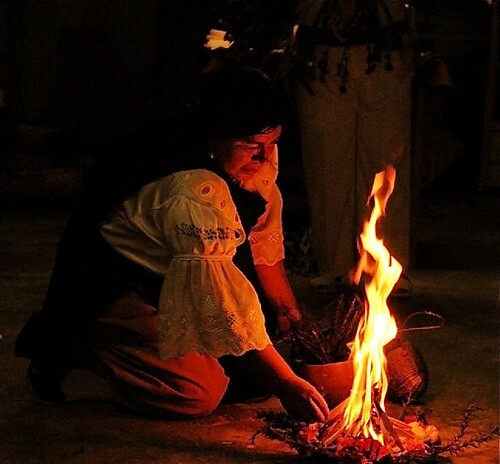 Energy is frequency and Ecuador’s shaman’s practice frequency medicine. Delegates at our import export course visited a shamana yesterday to learn more about energy. 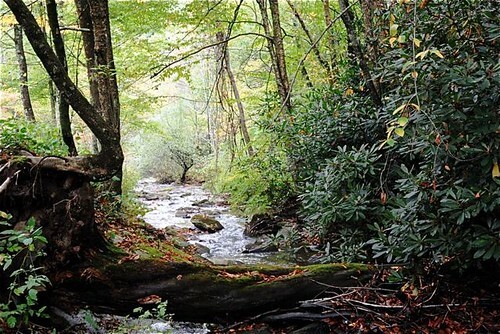 Here is a shot from the shamans place… more on this comes in a later message. This is why we do not have a TV… to eliminate the noise… so we can listen…. so we can get in tune with nature’s frequency. This is why we have scientists who are experts on frequency, like Bob Shane, come during our courses. He has been busy consulting delegates every single day. Learn more about Bob’s work here. This is also why we developed a quiet seminar center at our North Carolina farm. 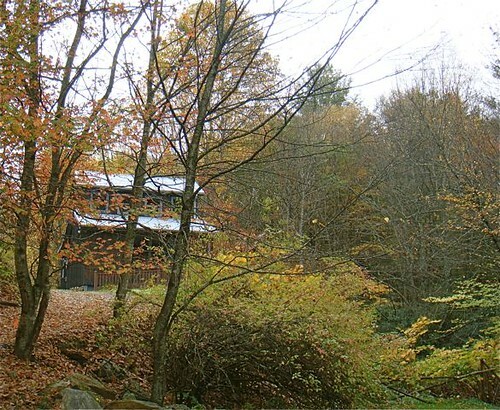 Here is a shot of our seminar center on the farm. 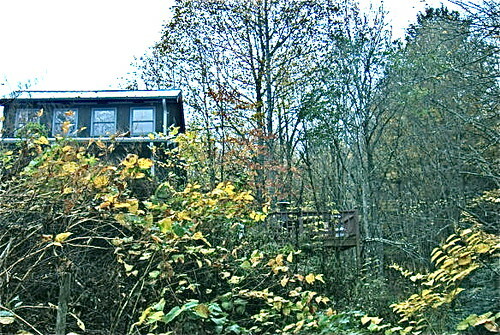 The deck extends into the woods. We gain a lot of great multi currency, investing, business and health information from the energy of Ecuador, North Carolina and all places quiet. We continually have really wonderful people come to our centers to share valuable ideas on frequency and energy. One wise man who spoke at our farm is Raymon Grace. He had an interesting group there. I was impressed with what he shared and as a consequence Raymon sends me an email once in awhile. Howdy Friends, Many of you have written because of your concerns about the economy and world conditions in general. Well, I’m the wrong person to ask about things like that as I have little knowledge of world economics. However, I may have a bit of experience with changing energy. As most of you know, our work is based on a few simple principles. If we think of a past event that causes us to become angry, we are likely to create a feeling of anger. If we think of a past event that was fearful, we will create fear. If we think of a past event that was funny, we will laugh. Ok, so what happens when we regularly read papers and magazines telling us how bad things are? TV news makes a stronger impression on our mind. When we buy into the opinions and commentaries of those in the news media, we are letting them tell us what to think. It seems that many people have either forgotten how to think or perhaps they never learned, so they let someone else do their thinking for them. We are affected by what we hear, see and experience, whether we like it or not. So how do we stop being influenced by the bad news? Here is how I do it.—– Don’t listen to it. This is why I am pleased that Jyske Global Asset Management chose a quiet time of the year to have a multi currency investment seminar in Naples Florida. Merri and I lived in Naples opver 20 years. The shot below was taken just a block from our house and we know that May and October are the quiet months with the best weather. One idea we’ll look at during this multi currency course is how to select safe currencies that offer maximum return and have potential for gains against the US dollar. Until next message, good global investing! Ecuador economic corrections create fear. People retract…shrink and stop doing what they should and…they are wrong. People in downturns follow the 80% rule. 80% of the people act incorrectly 80% of the time. We can take advantage of this and use the current economic correction to get ahead. 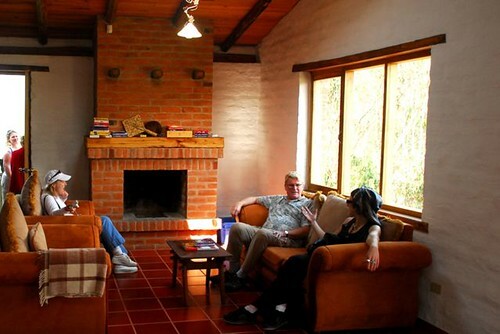 Merri and I were sitting at our Hacienda, Rosaspamba, in Ecuador. The time was November 2000. White mists rose over jagged peaks and a huge, multicolored bird suddenly burst from the brush. I had been bringing investors to Ecuador to show them ways to invest in this economy while it was in ruins. Ecuador had done so many things badly. There was graft, corruption, political hassles, discrimination and lies that all helped lead the Ecuador economy into shambles. Ecuador had been the first to default on Brady Bonds. All bank accounts had been frozen. Two Presidents in a row had been impeached within a couple of years and the public had been demonstrating again and again in the streets. The worse it got, the more I had advised investors to come with me. The more property I bought myself. Real estate prices skyrocketed up. The economy has gained from higher oil prices. 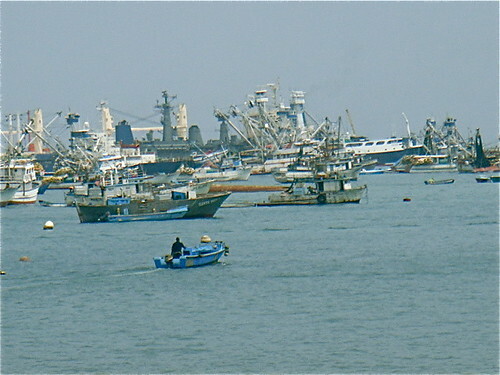 (Ecuador is the second largest oil producer in South America.) The new President is looking very capable (perhaps even a little honest) and there has been optimism. 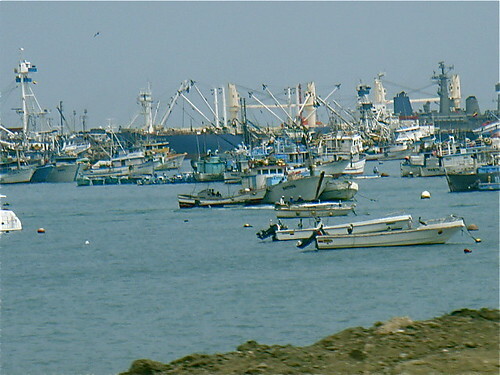 The country dollarized after the economic debacle in 2000. Real estate prices have risen dramatically. I am hearing stories from investors on how much money they have made in just the past year. Has the economy slowed where you are? It does not seem to have done so in Manta, Ecuador. Here are shots I took last week of Manta harbor. Luxury boats as well as cargo. On our recent Ecuador coastal real estate tour we met with Pilar Davila, a real estate broker we have worked with for over a decade now. 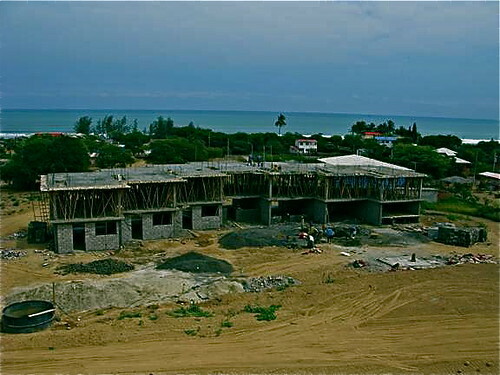 Construction is booming…new condos and luxury hotels like this small beach front accommodation where Pilar is standing are up and coming. 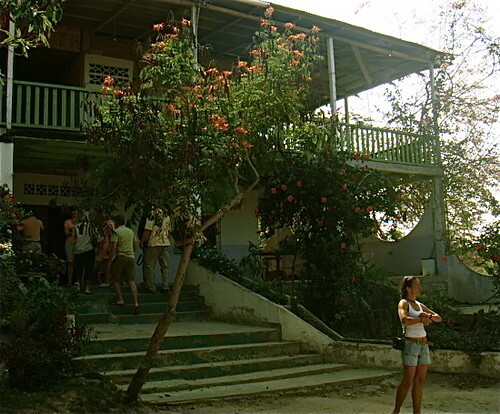 We were inspecting this wonderful small hotel in Manta. The central lounge and swimming pool are absolutely beautiful. Overlooking the beach and sea. Even the business and internet center is filled with charm. Pilar reminded me that Manta property that our real estate tour delegates bought in the late 1990s at $.40 cents a square foot is now selling for $9.00 a square foot. Condos that sold for $79,000 during the 1999 depression are $240,000 now. 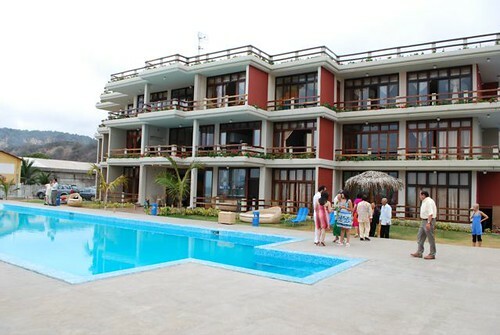 Here are lots that our Ecuador coastal real estate delegates bought in the 1990s for $2,500. They are for sale now at $17,500. Ecuador real estate prices are still low compared to the US, Mexico or Panama for example…but sometimes I have a hard time keeping my perspective because they are high compared to what they were ten years ago. Regardless of how bad things appear, there is always opportunity. The sun always shines somewhere. For this we should be eternally grateful. When events appear gloomy, we should get excited. There is never as good a time to create wealth as when economic conditions are bad. This is especially important to remember as the U.S. economy (which has been feeding global economic growth) slows. In the months and years ahead our daily publications, newspapers, TV shows, etc. are likely to give us more than our fair share of doom and gloom. Let this be good news! Be thankful. Bad times are the best for making money. If we focus on serving our community, instead of weeping over what newspapers say, it will help us get ahead. Until next message, may the sun shine for you. Here are delegates working hard at viewing. Plus we saw land and a next door house for sale. We also saw this Bahia Coco Bongo Hostal for sale (the owner says she has $110,000 in it). Here delegates view a 15 room hotel for sale, with an asking price of $60,000. Plus we saw this potential Bed & breakfast. $90,000 asking. 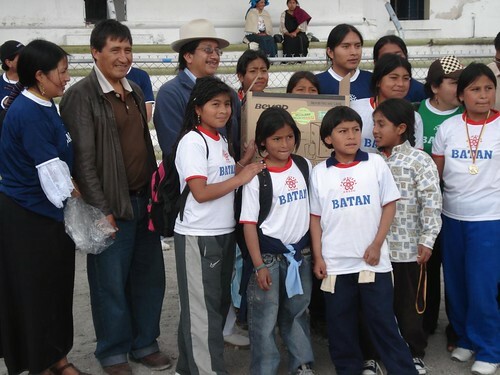 The Cotacachi Olympics is helping the kids of Cotacachi. 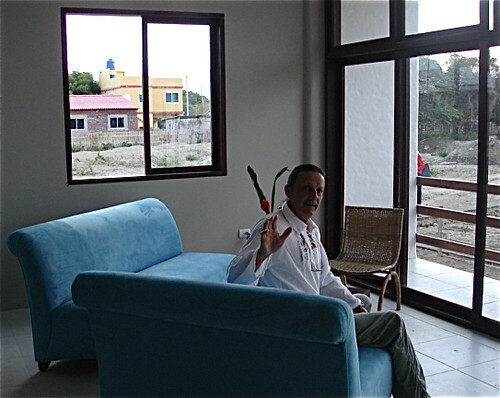 Steve just conducted the latest Cotacachi real estate tour one project viewed was Primavera II. 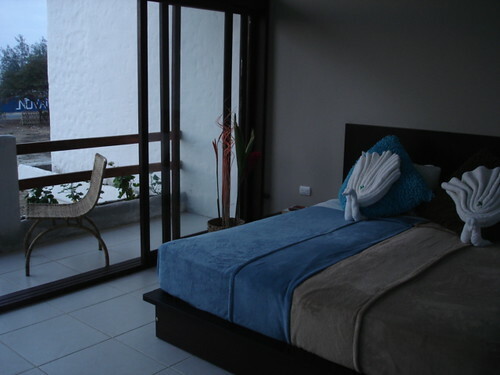 Primavera One and Two are owned almost entirely by Ecuador Living subscribers and real estate tour delegates. 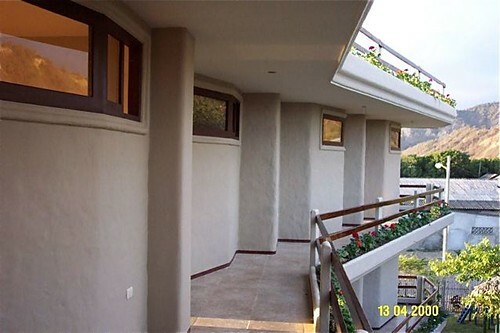 These condos are built by Jorge Quilumbaqui, a local indigenous builder made good after years of struggle. Jorge began as a laborer but is now one of the indigenous elders in Cotacachi, an example to younger generations of how to prosper in what, years ago, was a difficult environment. Jorge hasn’t forgotten his roots though and employs dozens and dozens of builders in his various projects as well as local girls in his Cotacachi Hotel, Sumak Huasi. Earlier this year Jorge came to Meson de Las Flores to tell me about his plan to stage an athletics competition for indigenous children. 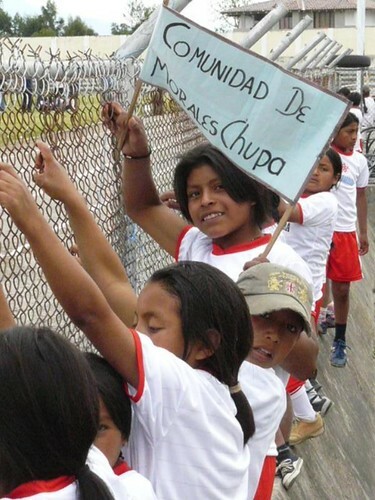 He would call it the Indigenous Cotacachi Olympics and it would primarily be a way to financially help all the different indigenous communities around Cotacachi. Using his own money and also sponsorship the prizes for the winning children athletes would be a computer or school utensils for the entire school year. Some of the children, in good humor and ready to compete! Knowing us at Meson de Las Flores very well and also aware that we have the Land of the Sun foundation to primarily help the indigenous in Ecuador, Jorge had no hesitation to ask us to be one of the sponsors of his event. We had no hesitation agreeing to do so! I find Jorge to be a humble man without any airs or graces, unassuming with conservative style and tastes and with a social conscience – he wants to give back to his own indigenous community. 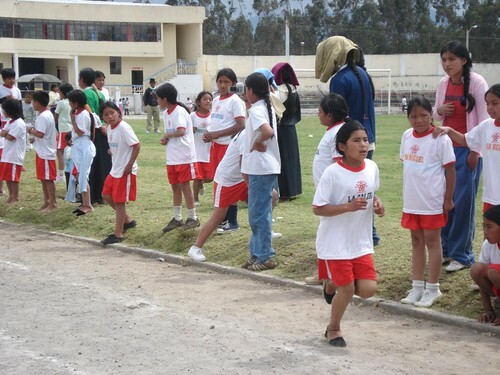 It was no easy task to arrange the Olympics because sometimes there’s a rivalry between the different indigenous communities and also the children are, for the most part, not used to taking part in athletics events such as relay and long jump. They can all run but don’t know how to start a sprint or pace themselves in the longer distance events. Jorge hired a physical education trainer to visit all the 14 communities that were to participate; the trainer spent one day in one community and then moved on to the next community. All in all he spent 2 months training the 180 children who were due to compete. 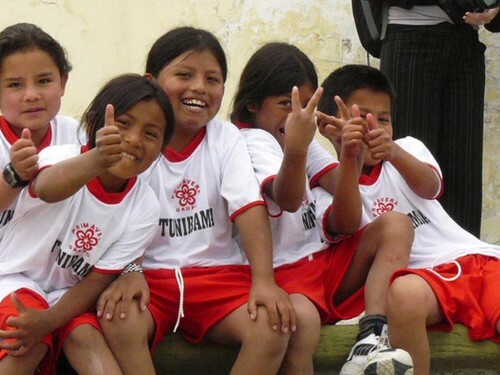 See what happened at Ecuador-indigenous-self-help. We’ll visit the Otavalo markets. 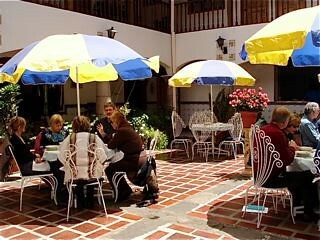 Courses are centered around this open air courtyard in our colonial inn El Meson de las Flores. 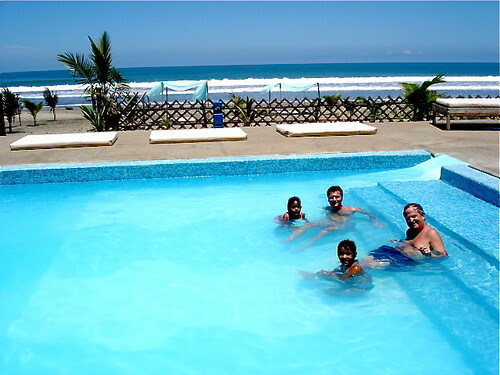 You are also invited to tag along to the beach where we visit all types of Ecuador beach property for sale. Here is one f our previous tours enjoying a visit to Vistazul condos. Ecuador beach condos in San Clemente offer special value now for seven reasons shown below. 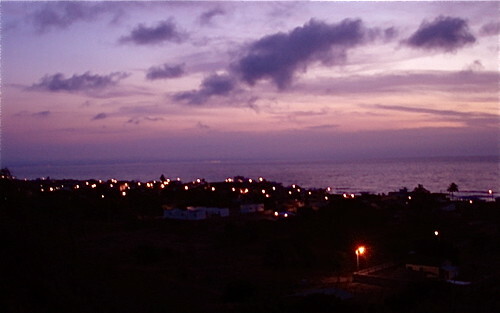 Bahia, is in my opinion, one of the nicest towns on Ecuador coast. Pacific Coastal condos in San Clemente, only thirty minutes, away offer some of the best value that Merri and I have found. These San Clemente coastal condos are called Vistazul and they offer an even more special opportunity now. Here are delegates on our last Ecuador coastal real estate tour going over to look at the Vistazul model which is 75% complete. 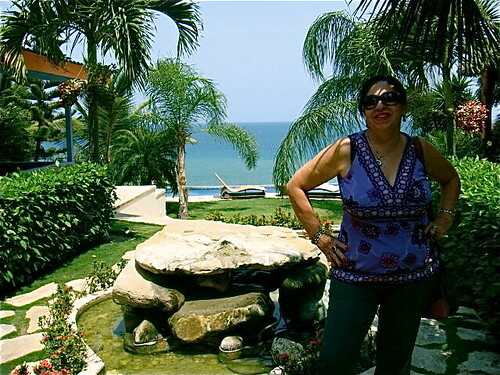 Merri and I are back from a quick trip south…to Cotacachi and to visit our Ecuador coastal condos in San Clemente. 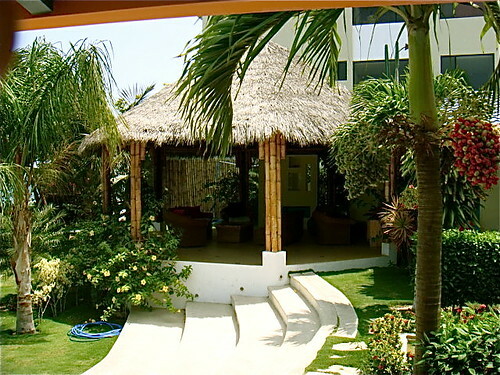 These Ecuador coastal condos are special, value wise, for seven reasons. First, over ten years ago, Merri and I drove almost the entire length of Ecuador’s coast with our Norwegian friend, Kjetil Haugan. 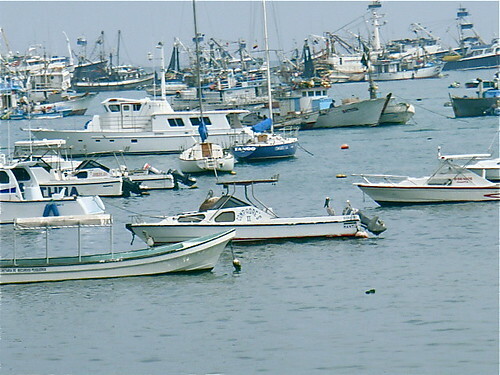 This trip included a visit to San Clemente which is a tiny fishing village on the Ecuadorian Pacific. 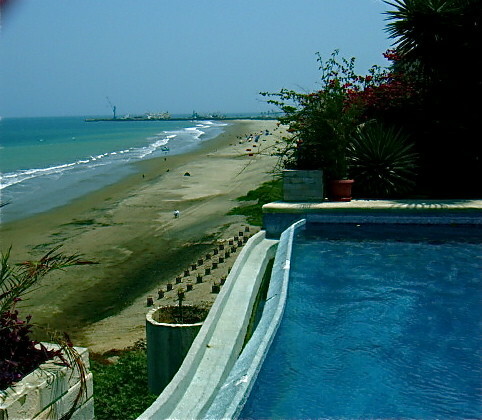 We saw that San Clemente Ecuador offered special value for Ecuadorian beach real estate. 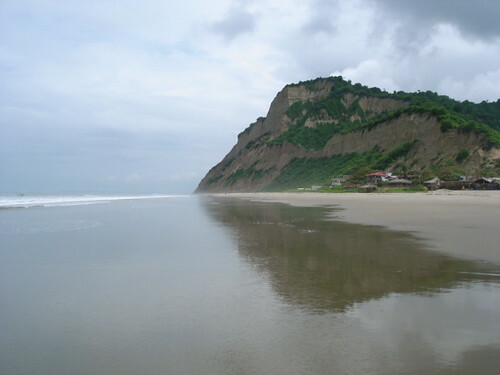 This was one of Ecuador’s best beaches, but just 45 minutes north of Manta and only a half hour to Bahia Ecuador. Here is the San Clemente beach. Kjetil bought 12 acres of land on this beach in San Clemente…then…ten years ago. 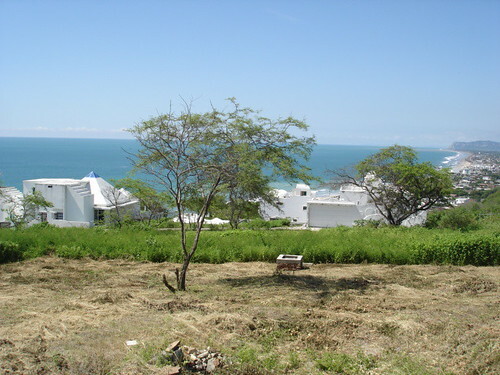 This is the first reason why the Vistazul Ecuador Coastal condos offer special value now. 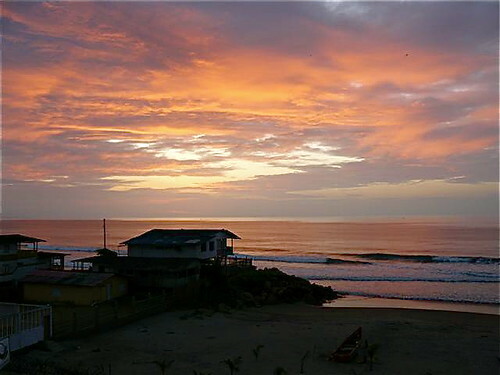 A recent message outlined how we conducted real estate tours and urged readers to buy Ecuador beach property around Manta over ten years ago because land on Ecuador’s coast now is still a terrific value. Yet especially around Manta, land has appreciated as much as 800% in the last decade. Many of our readers and real estate tour delegates of a decade ago purchased ocean view house lots at $2,500. These same lots as resales are now selling at $17,500. 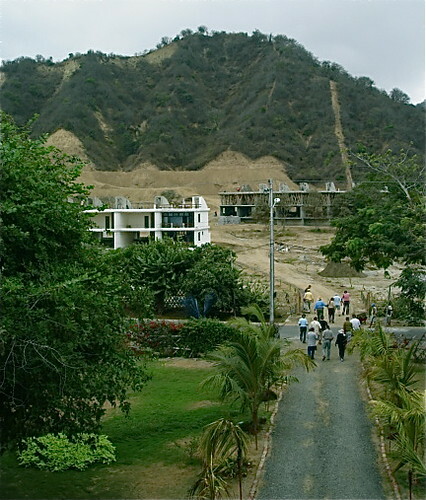 Kjetil can offer really great Ecuador beach condo prices because he bought the land at rock bottom prices years ago. 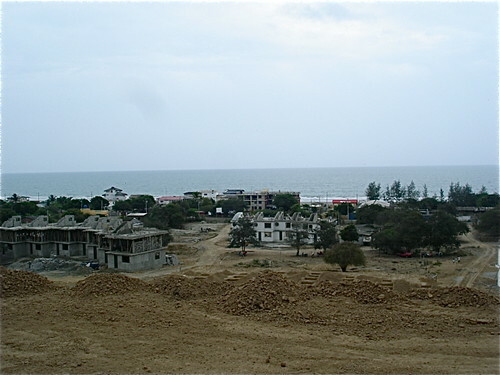 Many Ecuador coastal properties are popping up now but most developers are buying land to develop…at current, much higher prices. San Clemente is catching on. Already we are told that one of our readers purchased a large beach front property (to develop I assume) just a few hundred yards from the Vistazul project. This reader cannot compete with Vistazul price wise because the current price paid for the land is so much higher. The second reason there is special value there is that Kjetil has more than a decade of business and Ecuadorian experience. His wife’s family have long been involved in construction. His father in law is an engineer who has great experience at building on the coast. Here is Jessica Haugan, Kejtil’s wife, who operates the Palmazul Spa welcoming our delegates to inspect the model. Here is Kjetil and his father-in-law, Julio, showing delegates the roof garden on unit #207 (the lowest view and price). Third, the Vistazul beach condos offer special value because Merri and I do not charge commissions. We do not make a penny when people buy Ecuador real estate. 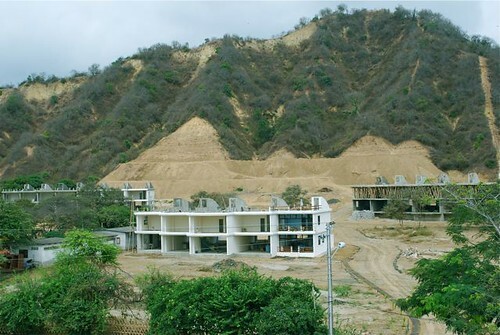 Our readers have purchased many millions of dollars of Ecuador real estate in Galapagos, Mindo, Cotacachi, Quito, Vilcabamba, Cuenca, on the Pacific Coast, and elsewhere around Ecuador. 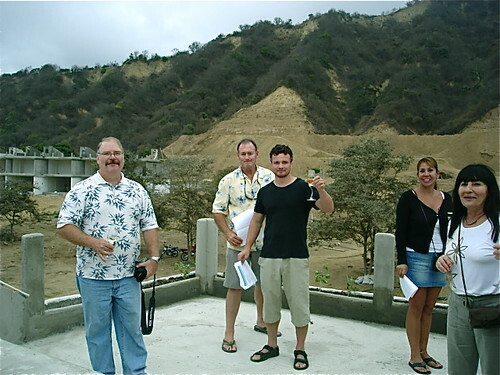 Merri and I may have helped more gringos buy Ecuador real estate than anyone else. Yet we are not real estate brokers and do not take commissions for this. The fact that Merri and I liked, felt confident in and invested ourselves in Vistazul, means that Kjetil has been able to sell two thirds of these coastal condos without paying a penny of the normal sales commission. This has saved him as much as $500,000. This does not mean Kjetil has pocketed this extra cash. I asked (and he agreed) to pass this savings onto buyers of Vistazul who are Ecuador Living subscribers. 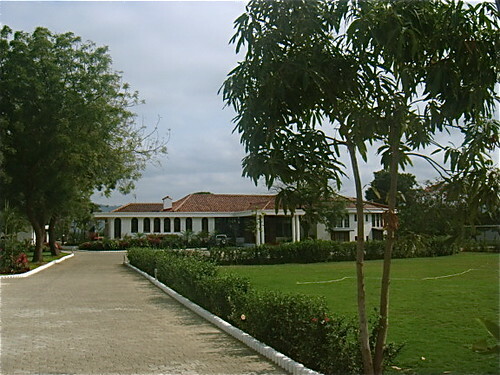 Here is the Palmazul Spa and the clubhouse for Vistazul. 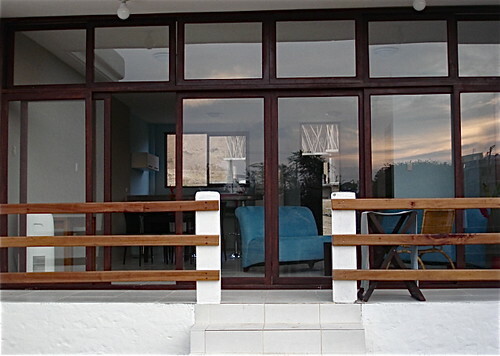 This is where our coastal real estate delegates stay. Fourth, Kjetil built the beach condo club house first…last year…when cement and concrete prices were about half they are now. Plus he made a very intelligent decision to run the clubhouse as a hotel…Palmazul. Three buildings with 19 units are under construction. We were pleased last week to view th progress. Here they are. You can see each level of construction. The 63 units are set out on the 12 acres so no building blocks the view of another. 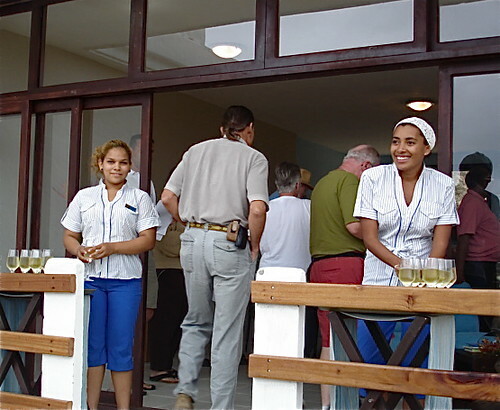 Fifth, we center our Ecuador coastal real estate tours around the Palmazul club house which means we send hundreds of guests there. This provides substantial income so condo owners do not have to bear as large an expense to maintain the club house. 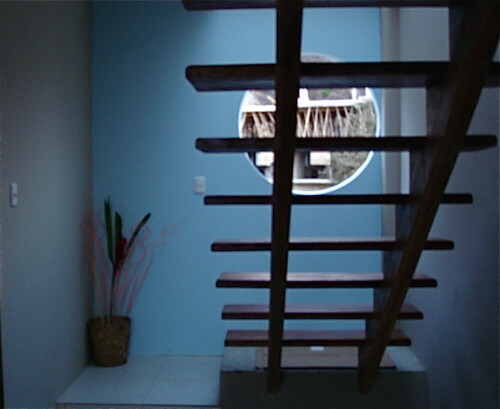 Front door of a Vistazul unit. Sixth, Because Merri and I understood the project, we were willing to invest up front. Our many years of work with Kjetil have created a bond of trust. Because of this Merri and I, plus one of our friends and two of our daughters bought the first twelve units. In other words, nearly 20% of the Vistazul project was sold before Kjetil even began to break ground. 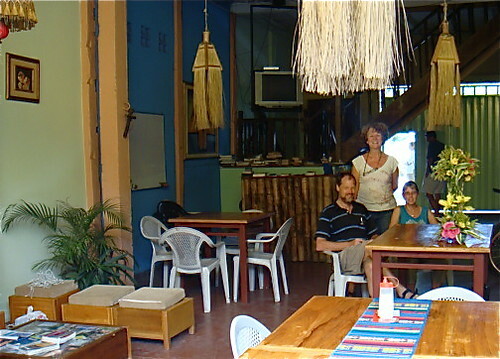 Here is a Vistazul ground floor interior…looking back. And front with our friend from Telluride, Bob Humphrey. 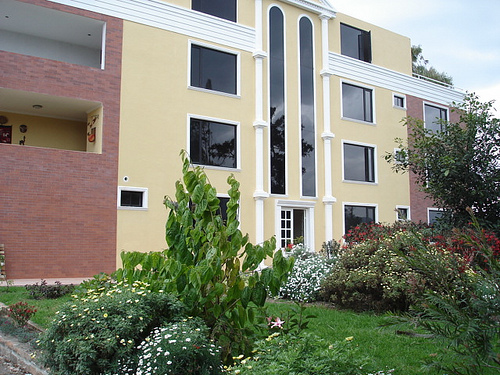 Seventh, Kjetil also has one of the largest Spanish schools and travel agencies in Ecuador. This provides marketing clout and gives Kjetil the ability to help bring condo renters to San Clemente. * Infrastructure competed before inflation. * Two thirds of the units sold. * Low cost marketing for sales and renter. 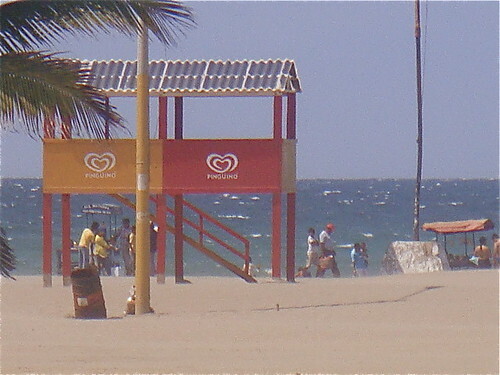 * Perfect on the beach location. 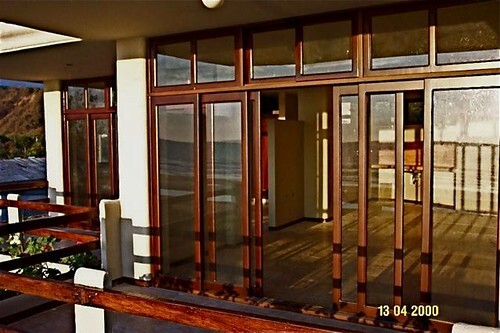 * Master Bedroom looks over the sea. This is why I have been encouraging readers to look at Vistazul. There are 63 units to be built. 42 of these Ecuador condos have sold since I first wrote about these condos just nine months ago. Now Kjetil is also offering ten year mortgages at 8.5%,. I expect the remaining 21 units to sell quickly. 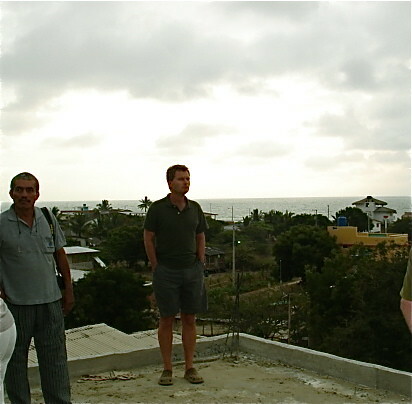 Ecuador coastal delegates inspect roof garden and lowest view. Due to inflation, Kjetil has raised his prices, but due to our original agreement with him he has still been offering a discount to our Ecuador Living subscribers. 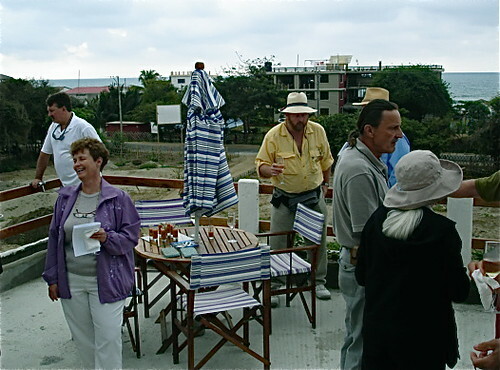 That offer expired after our last Ecuador Coastal real estate tour but I asked him to continue the special until October 1, 2008. This is significant because I always advise readers to never buy Ecuador real estate sight unseen. Kjetil, in his agreement with us, allows those who make a deposit 60 days to come down and visit the condos on the beach. This means that those who make a deposit before October 1 can hold their unit until our November 12 – 15 Coastal tour when they can inspect the property. 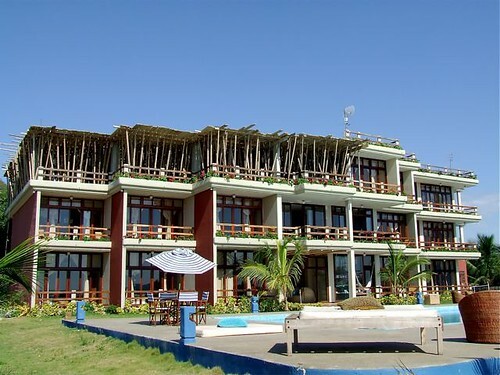 Here are the remarkable values on these Ecuador beach condos. There are three levels of condo. 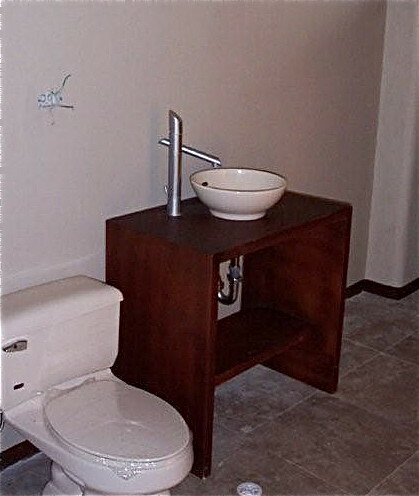 All units are identical…except for a few options available in tile, cabinets, doors, counter tops etc. Price differences relate to view. The higher on the hill, the higher the price. Coastal tour delegates on roof garden of lower unit. Lower level units available are #: 104 – 205 – 207 – 302 – 305 – 503 – 506. Price is $89,000 or $22,250 down and $828 a month. $19,750 down and $735 a month. Medium level units available are #: 602 – 603 – 604 – 605 – 801 – 805 – 806. Price is $115,000 or $28,750 down and $1,068 a month. 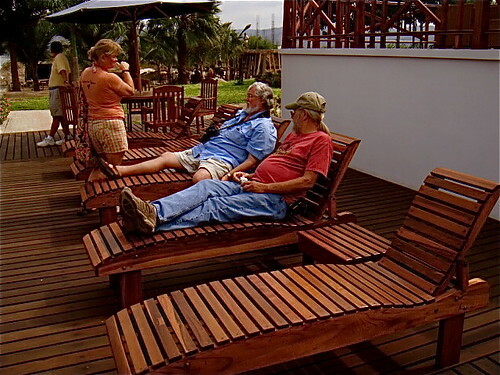 Ecuador Living subscriber price available until October 1, 2008 $99,000 or $24,750 down and $921 a month. 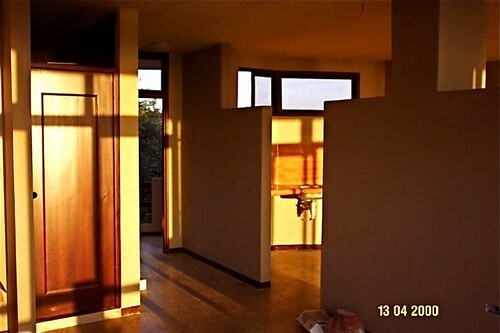 Upper level view at sunset. Upper level units available are #: 901- 902 – 904 – 1101 – 1102. Price is $139,00 or $34,750 down and $1,293 a month. 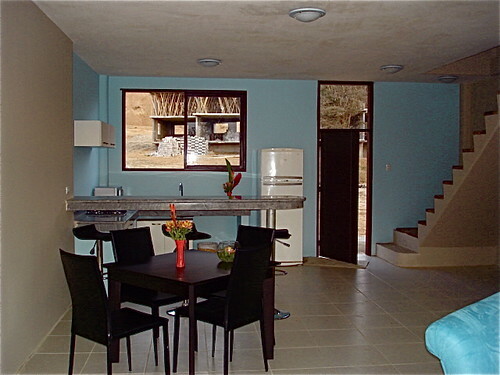 Ecuador Living subscriber price available until October 1, 2008 $125,000 or $31,250 down and $1,163 a month. To obtain the discount you must be an Ecuador Living subscriber. 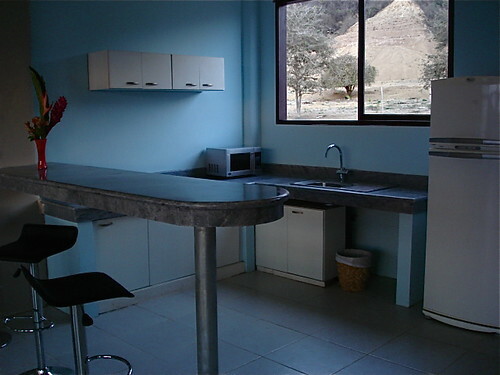 Vistazul kitchens have marble cabinet tops. The cabinets are not yet installed in this shot and there are breakfast bar height options. Until next message, may all your values be good. 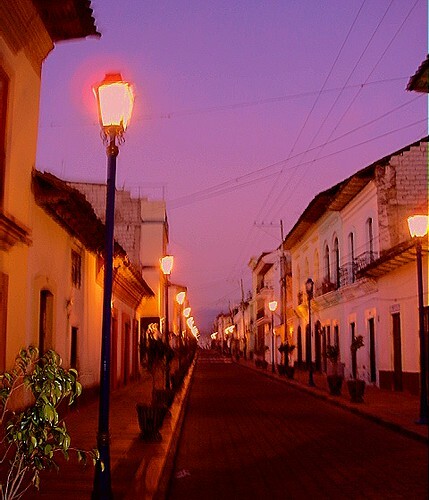 Join us in November to inspect Ecuador property for sale. Our September 17-20 Ecuador Coastal Real Estate Tour; Quito Real Estate Tour was sold out as was our September 28-29 Imbabura Real Estate Tour was sold out. 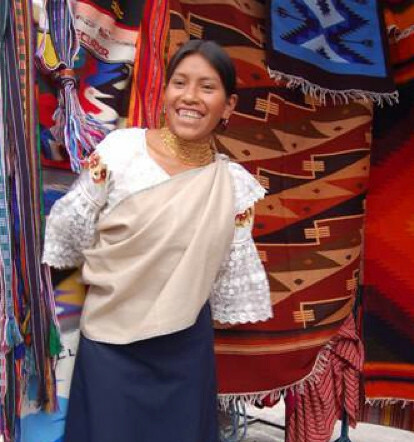 Our Oct 14-18 Ecuador Import Export Course only has a couple of spaces open. We still have space in November. 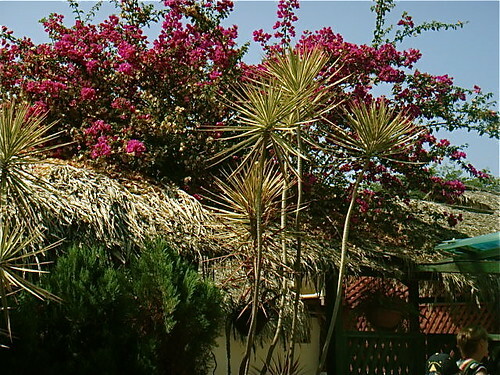 Join us in Cotacachi at El Meson de las Flores. 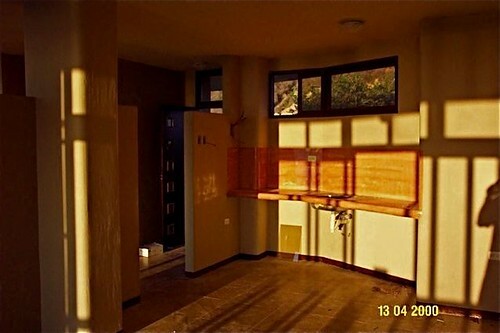 See these condos at $46,000 in Cotacachi. Dine with delegates at the Vistazul clubhouse. Ecuador beach condo news is inflationary but not all bad. There are many reasons why Merri and I love Ecuador’s Pacific and why we decided to buy beach condos there. 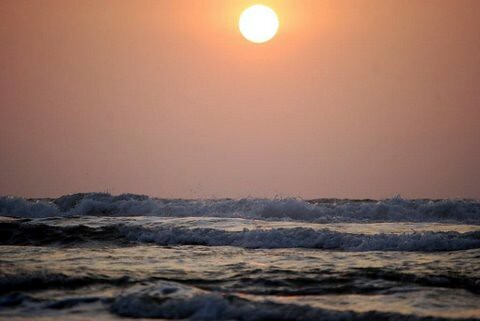 One of the most important beach condo features for us is the incredible sunsets on the Ecuadorian Pacific. 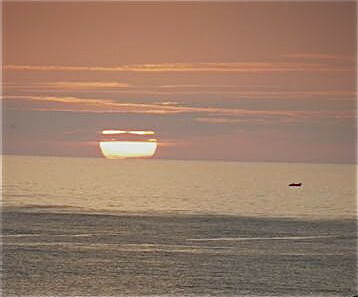 Here is a sunset shot from our Ecuador beach apartment. This incredible beauty is good news. 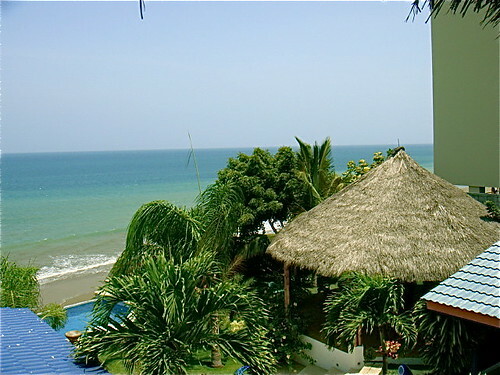 Really low prices…incredible value to our way of thinking, is another reason we love our Ecuador beach condo deals. Yet the sun is about to set on the really best prices. That’s the bad news. We’ll get to the good news in a moment. 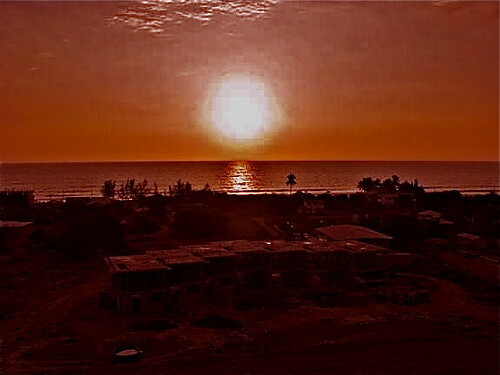 Ecuador beach condos in the Vitsazul development (where we have our condos and where this sunset was shot) have been available for as low as $79,000. Yet inflation is everywhere. 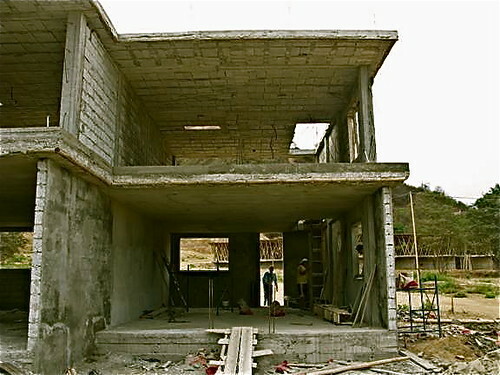 The cost of steel and cement have skyrocketed in Ecuador. Thor Anderson the project’s financial officer just sent me the new prices for the condos. Plus $5,000 club fees. These fees provides beach access, dining access at Palmazul Hotel & Spa, use of the club beach swimming pool, the tennis courts and gym. These prices are still an excellent value…just not as excellent as before. However there is still some good news below. 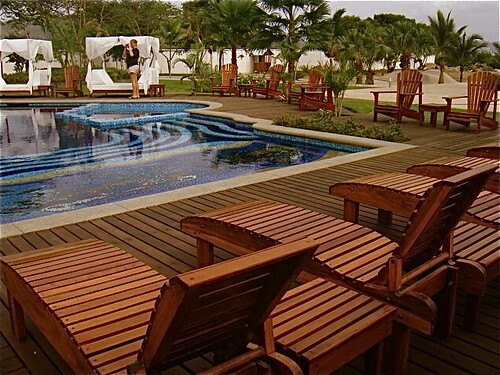 First, here is the clubhouse Palmazul Hotel & Spa. Here is the beach pool. The condos by the way are of similar construction and visible from the back of the hotel. 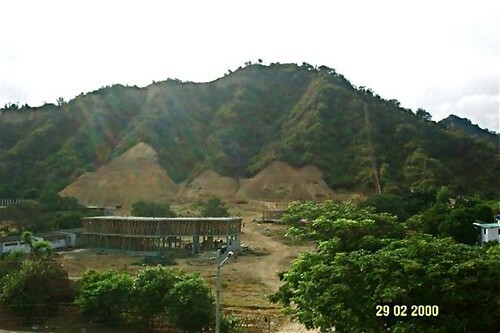 Here is a shot of Vistazul construction from the hotel. Merri’s and my first unit is almost finished. Here are some shots of this unit so you can get a better feel of the interior design and construction. These shots were taken at sunset so you can see the rosy glow that nature casts. 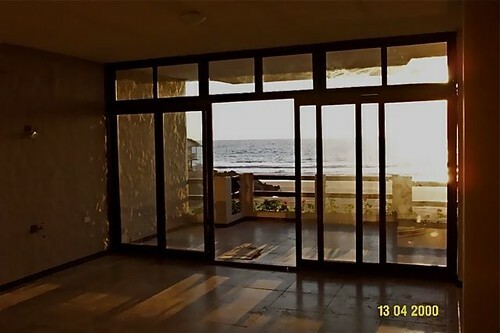 Here is a shot looking out from the living area into the sea. Here is a reverse picture looking into the living area. Here are two interior shots. Note all the hardwood trim and doors. This is the backside of the upstairs unit. Here you can see the high quality of hardware used. Plus some more construction shots. Thor Anderson has written this about financing. Up to 75% financing on units at 8.5% for a term of 10 years. Learn more here about how to be an Ecuador Living subscriber and gain these savings. 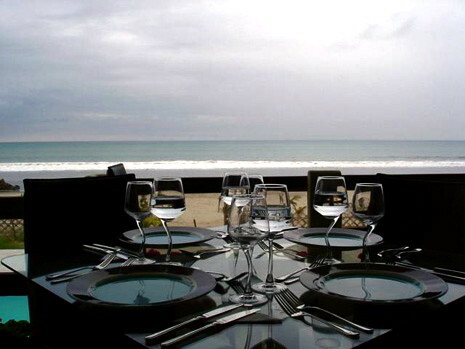 Learn how to join our September Ecuador Coastal real estate tour. As always I would like to confirm that I am not selling these condos and am not paid any commission for their sale. We are able to negotiate these special prices for our readers due to this fact. Until next message may all your sunsets be good!